Bulletins – Why Use Them? Bulletins are located in highly visible, heavy traffic areas such as expressways, primary arteries, and major intersections. Provides advertisers with huge impact on commuters. Do you realize that people spend 70% of their time away from home? A bulletin is something that they can’t erase, click out of or hide! Bulletins are typically 14 feet high and 48 feet wide, a bulletin provides 672 square feet of space for your ad. The increasing popular square size which is typically 26 x 24. Bulletins offer unparalleled visibility and maximum exposure. You will find bulletins located on major highways, expressways and primary arteries – they are highly visible to drivers, commuters and long distance travelers. Most of our traditional bulletin/squares are in the West Coast Markets, however, we do have select units in various markets across the nation. Typically, we are able to offer significant discounts on most of our boards as many times they are incorporated into non-traditional Retail Wrap® or MallWrap™ buys. Many of our boards are priced well below the traditional media prices for comparable units. We are able to offer both short-term flights and yearly perms. Unique, innovative, measurable solutions that generate substantial and immediate results. Reaching people no matter how they consume their media - making them stop, notice and buy. 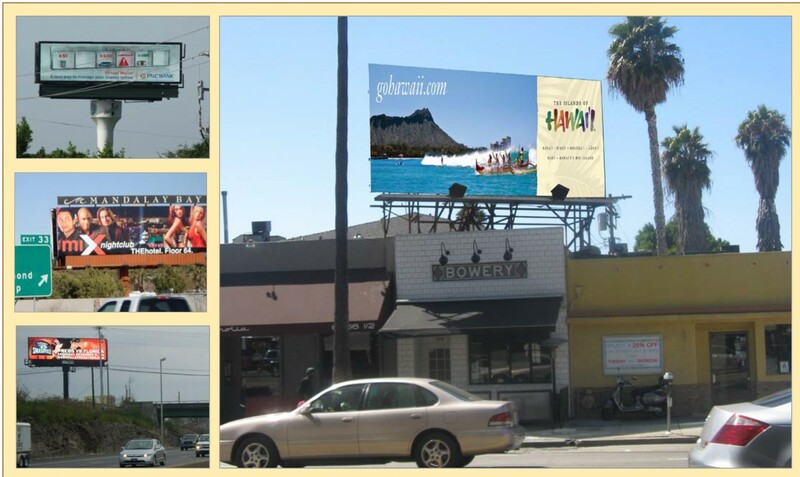 From highways to bus stops, shopping centers to cinemas, Times Square to the skies above NFL stadiums - you are reaching consumers wherever and whenever they work, shop, travel & play. Out-Of-Home offers a compelling way to surround audiences with 360-degree brand engagement. We're known for pushing the envelope with spectacular solutions for our advertisers.